England, minus Wayne Rooney, Raheem Sterling and Joe Hart, travel to Berlin on Saturday to face world champions Germany. The aforementioned trio are all injured, but other notable absentees from Roy Hodgson’s 24-man squad are Michael Carrick, Leighton Baines and Kieran Gibbs, who are overlooked in favour of uncapped Danny Drinkwater, Danny Rose and Ryan Bertrand. Carrick was largely anonymous, before being taken off on a stretcher in stoppage time, during the disappointing 2-0 defeat by Spain in Alicante in November so, with Jack Wilshere yet to recover from a broken leg suffered in pre-season training, Drinkwater has an opportunity to stake his claim for the holding midfield role. The subsequent 2-0 defeat of France at Wembley is more likely to be remembered for the dreadful attacks in Paris the previous Friday but, as Hodgson admitted after the Spain game, England must improve if they are to have any chance of competing with the best in the world. Germany coach Joachim Low, on the other hand, has named a familiar-looking squad, which includes Emre Can, Mesut Ozil and Bastian Schweinsteiger and just one new cap, Bayer Leverkusen centre back Jonathan Tah, who provides cover for injured defenders Jerome Boateng and Benedikt Howedes. Since the famous 5-1 victory in Munich, nearly 15 years ago, England have beaten Germany just once – a 2-1 victory in Berlin in 2008 – in four attempts and, frankly, are unlikely to get much change out of the current side on home soil. 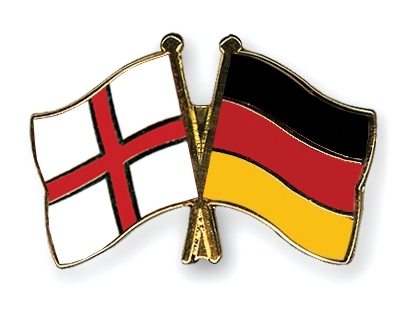 A routine home win seems likely, but in search of a little value, let’s try Germany to win 2-0 at 15/2 with 888Sport.